Toxic Trash & E-Waste Clean Up This Saturday! 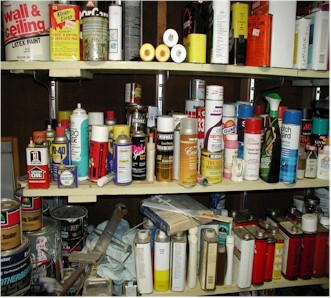 Got a few gallons of paint in your garage that have been sitting in your garage or shed for a while! Well Saturday is your day! The ” Too Toxic To Trash ” Event will be held at Dock 52 Parking lot off Fiji Way in Marina Del Rey. If you have electronics, latex paint or other items that may be reusable, you might consider posting them on LACoMAX. It is easy and beneficial. Click here to find out how. Brine items in a sturdy box, preferably in their original labeled containers. Be prepared to leave your containers and boxes. For a complete listing and other event related information visit CleanLA.com or call 1-800-238-0172. All residents of Los Angeles County may utilize the City of Los Angeles S.A.F.E. permanent collection centers (various) or the Antelope Valley Environmental Collection Center (in Palmdale) to properly dispose of HHW/E-Waste FREE of charge.